Tele-Radiology is the transmission of radiological patient images from one location to another for the purpose of sharing studies with other radiologist & physician. Tele-Radiology enables best radiology diagnosis for patients anywhere in the world. In Teleradiology, images from sources like X-Ray, CT Scan, MRI and Nuclear Medicine are sent to another location via internet, so that the images can be read by expert radiologists at another location for the propose of generating consolidated reports. Earlier, sub-specialists in radiology were available only at few places, generally in the larger cities. Now, with teleradiology, every general medical practitioner can make use of not only radiologists, but also specialised radiologists such as musculo-skeletal radiologists or neuro-radiologists while sitting in his own clinic anywhere in the world. The remote and inaccessible areas which were suffering from absence of qualified radiologists earlier can avail services themselves. 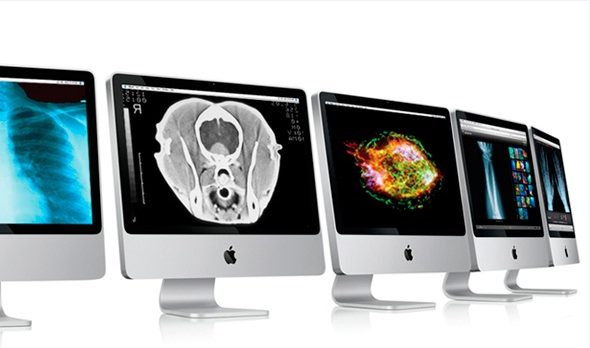 Images like MRI, CT Scan, Digital X-Rays, Nuclear Medicine and other DICOM Modalities can be straight away sent to our server and then viewed by any specialist of your choice. WebRad is an open-ended system and does not limit your studies to be reported by certain radiologists. Even if the need for a radiologist arises on a holiday or in the night or at other inconvenient time, our experts are available at your disposal. Small clinics need not keep a radiologist or further specialist on rolls full time. Moreover, the service is available 24×7. We provide uploading facility to radiology departments of small, medium and large healthcare service providers for interpretation of images by our expert team of radiologists. We provide uploading and viewing facility to various radiology departments anywhere in the country for improving their own productivity. A large data bank of radiology cases of X-Rays, CT Scans, MRI Scans and others with reports are provided to the radiology students and practicing radiologists.